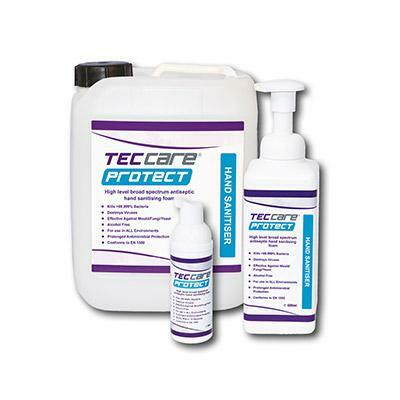 All of our NEW TECcare products are fast – highly effective, super safe, simple to use and offer prolonged antimicrobial protection. 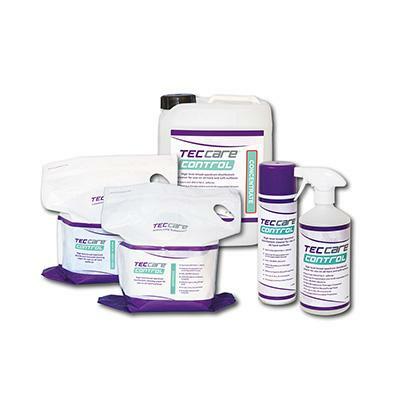 TECcare CONTROL fluid, wipes and sprays offer safe and effective single-step cleaning and disinfection in any healthcare setting. 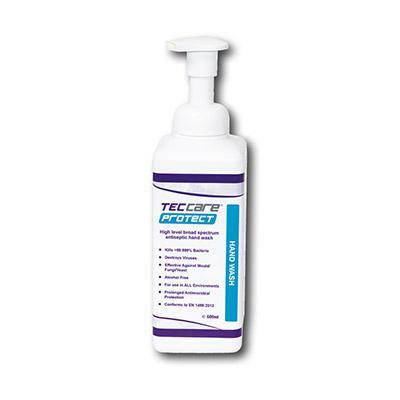 Fast and highly effective against bacteria, viruses, and fungi, the chlorine free and alcohol free formulation ensures it is non-toxic, non-irritant, non-corrosive and food safe. 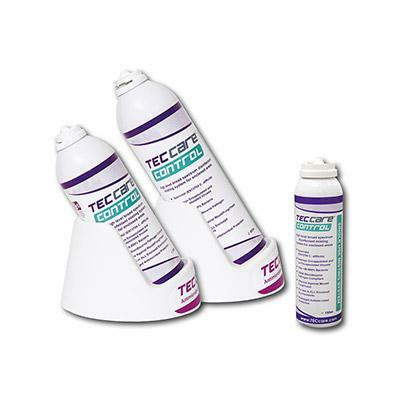 TECcare CONTROL single use misting aerosol offers rapid, safe and effective disinfection and decontamination for siderooms, sluices, bathrooms or vehicles in any healthcare setting. Down-time is minimised. Room or vehicles can return to operational use within 1 hour. 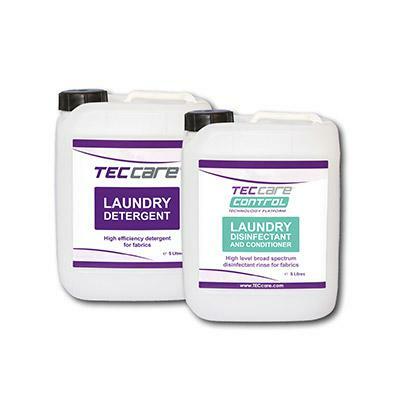 TECcare CONTROL laundry fluids offer safe and effective cleaning and disinfection for textiles being laundered in the healthcare setting. Highly effective against bacteria, viruses, and fungi, the chlorine free and alcohol free formulation ensures it is non-toxic, non-irritant, non-corrosive and food safe. Simultaneously sanitises and moisturises the skin and is ideal when hand washing is not practical or possible. Alcohol free, skin feels soft and smooth with no residue, tackiness or odour. 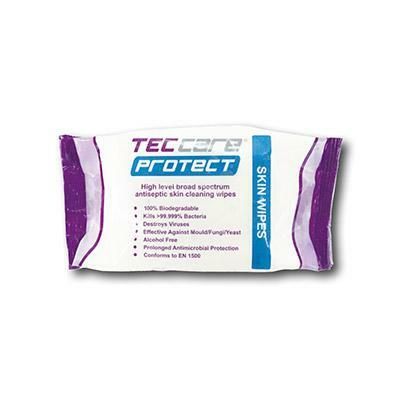 PROTECT skin wipes are highly effective at cleansing, sanitising, moisturising and freshening the skin when washing is not practical or possible. Free from alcohol, fragrances and emollients, skin is left feeling soft and smooth with no residue, tackiness or odour. PROTECT hand wash is designed to be used in place of soap and is highly effective at cleansing, sanitising and moisturising the hands. Free from alcohol, fragrances and emollients, skin is left feeling soft and smooth with no residue, tackiness or odour.